New Plymouth District Council has a number of policies addressing how it will become more age-friendly. These include the positive ageing strategy, and accessibility strategy. Council’s Community partnerships team, works with other teams within in Council to constantly improve their work on ageing issues. The Community partnerships team also works closely with community groups such as New Plymouth Positive Ageing Trust, Age Concern Taranaki, Taranaki District Health Board, the Taranaki Disability information Centre Trust and the New Plymouth Injury Safe Trust to support and create programmes and workshops for older persons. However, Council is always improving its services for the aged, regardless of whether it is stated in policy or not. This includes regularly sending plans and reports to Council’s Accessibility and Aged Issues Working Party for consideration, which includes new footpath and road layouts, new buildings and improvements to existing facilities. New Plymouth District Council supports the New Plymouth Positive Ageing Trust by providing free venues for their forums on housing, falls prevention and their regular meetings. Our accessibility strategy focuses on the Council’s commitment to make facilities and services accessible to everyone and plans for the next three years. This strategy is currently being reviewed for 2019 -2022. Council intends to make the district more age friendly by working with key stakeholders to develop an action plan based off of our age friendly strategy. 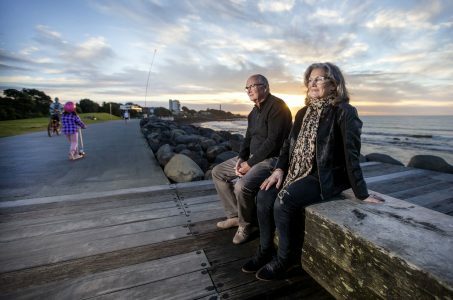 Council already has committed to several projects that make the district more age friendly by improving pedestrian crossings, rail crossings and connecting suburbs supermarkets and other services through new, accessible walkways.